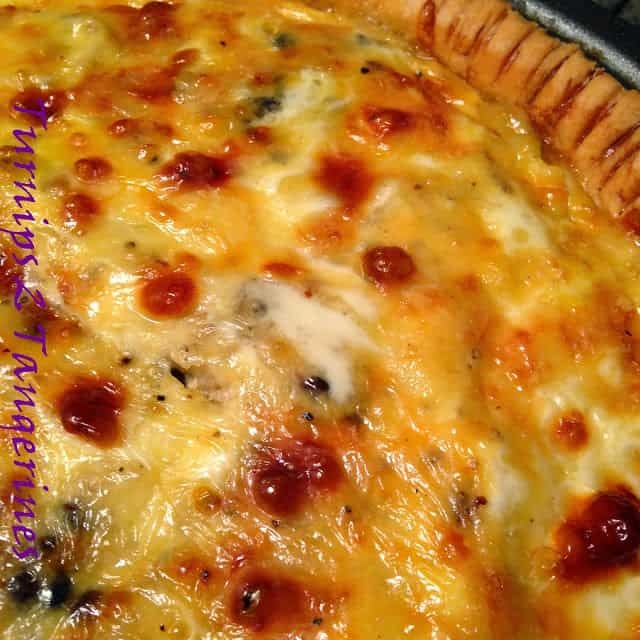 This delicious quiche is full of flavor and filled with cooked wild rice, ground venison sausage or you can substitute ground vension and smoked Gouda cheese. The wonderful thing about making a quiche is, you can literally use any ingredients you have on hand and the end result will be delicious. Today kicks off the Deer Hunting Season here in Wisconsin and the woods are ablaze with orange. 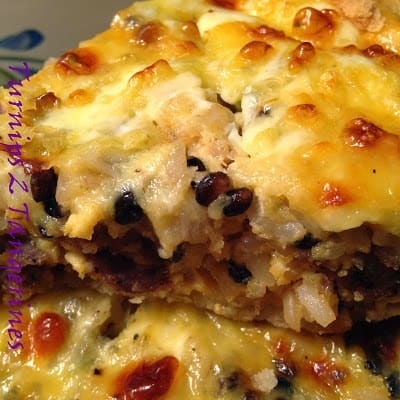 To help kick off Deer Hunting Season, this recipe uses venison and two other Wisconsin favorites; smoked Gouda cheese and wild rice. Bake crust at 425º for 5 minutes. Remove from oven, set aside. In a medium skillet, heat oil over medium heat. Saute garlic for 5 minutes. Add sausage and liquid smoke. Brown sausage until no longer pink inside, drain. Spoon sausage mixture into baked crust. 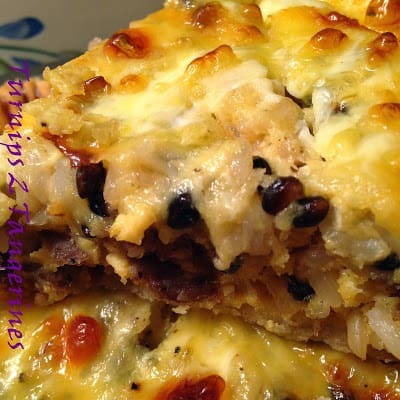 Spoon wild rice over sausage mixture, top with shredded cheese. In a small bowl, beat eggs with milk, salt and pepper. Pour mixture over all. Bake at 325º for 45 minutes or until a knife inserted near the center comes out clean. Replace the venison sausage called for in this recipe with your favorite bratwurst or Italian sausage. 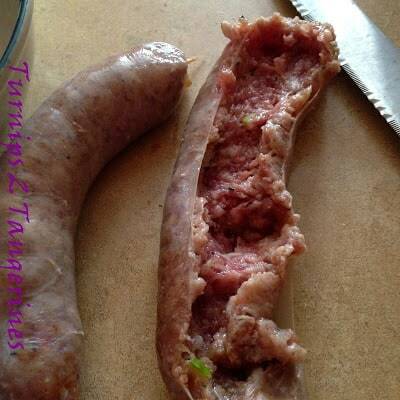 Want to know how to remove the casing from bratwurst and sausages? Using a spoon or the back of your knife, scrap meat from casing. 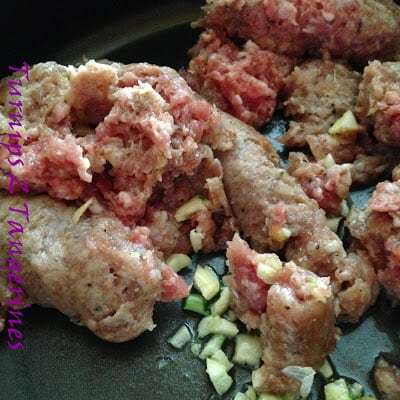 Use sausage in place of ground sausage, ground pork or ground meat. Got some sausage in the freezer. This looks like a good meal for this weekend post turkey. Pinned. Thanks for bringing this to Weekend Bites. We will be live tonight 8:30 EST. Happy Thanksgiving.